Our beg bug attorneys are dedicated to providing expert legal representation to individuals and families who have sustained bites due to the failure of hotel operators and apartment building owners to provide for sanitary living conditions. Bed bugs are a growing problem across the U.S., causing significant injuries to those harmed. Knowing your legal rights is the first step to recovery. Unfortunately those injured are often times taken advantage of by insurance companies and property owners. Injured parties are made to feel at fault for the bites across their bodies and in some cases they are told lies by hotel managers. It is important that you understand your rights and know that you can file a lawsuit for your injuries. For this, a bed bug lawyer can help. 1. No Fees or Costs Until Your Case if Settled of Won. 2. Expert and knowledgeable attorneys who have a history of litigation against property owners and hotels for bed bug bit injuries. 3. Free No Cost Legal Evaluation of Your Case – All case reviews are 100% confidential and free. 4. Speak with An Attorney Immediately 24/7. 5. Bed Bug Legal Group Mission – Treat every client with the respect and dignity deserved and protect their right to compensation against unscrupulous property owners and hotel operators. Our bed bug lawyers handle bed bug cases nationally. Who Is Liable for My Bed Bug Bites? Fault for bed bug cases will depend on knowledge of whether the condition exists. Knowing whether a potentially dangerous condition exists is necessary to proving liability. If the landlord, property owner or hotel owner knew of the condition and failed to take appropriate steps to correct it. Can you sue a hotel for bed bugs? Absolutely. Hotel and motel operators are in the business of making a profit. It costs them money if they are not able to rent a room out. So in many cases it is in their best interest to hide or conceal the fact that bed bugs exist on the property. In select cases they will advise the cleaning staff to not mention or make aware the issue of bed bugs on the property. In turn they will continue to rent out a room, which is not habitable. As a result many more guests will continue to be bit and harmed. Can you sue your landlord for bed bugs? The short answer is yes. Apartment owners much like hotel operators will fail to take proper steps to inform their tenants of the infestation. In many cases will attempt to blame the issue on the tenants themselves causing them to suffer added humiliation. Additionally, they will fail to remediate the problem and the infestation will grow to surrounding or adjoining units in the building. In such cases the landlord can be responsible when they fail to take steps to remedy the situation. A Los Angeles bed bug lawyer should be contacted in such cases. According to Personal Injury Laws victims of severe injuries including bed bug bites are entitled to compensation for all losses arising from the wrongful acts of landlords, hotel owners and managers. Type of injures and losses recoverable are as follows. All medical and health related expenses. All future rehabilitation care including cosmetic surgery to eliminate keloid scarring. All damaged and destroyed property including clothing, luggage, furniture and household items. Punitive damages – where the property owner has displayed acts of gross recklessness in the upkeep of the property. 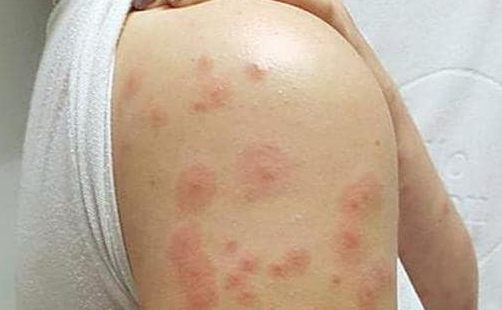 Victims of bed bug bites may be entitled to financial compensation for their injuries. Your case could be worth millions of dollars. You can find the value of your bed bug lawsuit now. To receive justice, you will need the help of an attorney with experience in bed bug lawsuits. Our attorneys have years of experience in bed bug infestation lawsuit cases and we know what it takes to win your case. Don’t do this alone; if you don’t know what you’re doing, you could ruin your case. Our bed bug attorneys work exclusively on contingency. There are never any upfront fees with our service. If we recover money for you, we will charge a fee and if we don’t recover money for you, you pay nothing. There are certain deadlines by which you must file your lawsuit. Otherwise, you will be forever barred from recovery. Therefore, time is of the essence in your lawsuit. 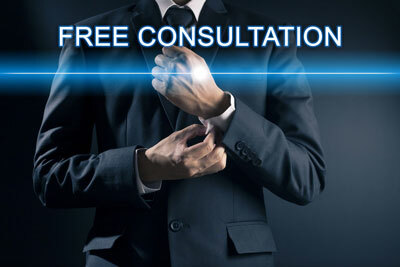 Contact our law firm to find our about your legal options and to receive a free consultation. Medical bills are not always present in bed bug cases. This can be a negotiating point used by many insurance companies to reduce the value of your claim. Often times many allow the bites to heal on their own. In such cases it is not required that you actually seek medical treatment, but instead just let them heal naturally. If you need assistance from an experienced bed bug lawyer, contact us immediately because time is of the essence. Our bed bug lawyers practice in all of California, including Los Angeles, San Diego, and San Francisco. If you need a bed bug lawyer in Los Angeles, a bed bug lawyer in San Francisco, or a bed bug lawyer in San Diego, we invite you to contact us for a free consultation. However, in certain instances medical attention is warranted. In cases where you are dealing with very young children, the elderly or those who have allergic reactions. Allergic reactions are not common, but when they happen it can require immediate medical attention to correct or remedy. Often times common over the counter medications will be sufficient to reduce the swelling, but it not always effective. If you have had an allergic reaction get immediate medical attention and seek help from a bed bug lawyer. We practice in Los Angeles, San Diego, and San Francisco, so if you are in need of help from a bed bug lawyer in any of those major cities or surrouding areas, please contact us immediately for assistance.